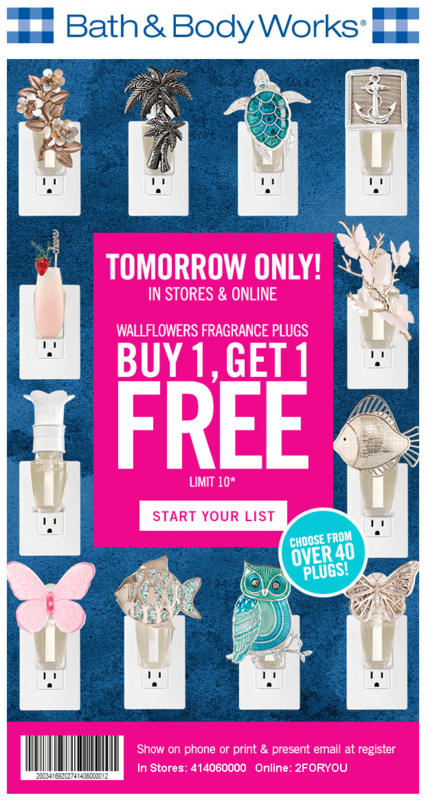 Bath & Body Works is offering up Buy 1 Get 1 FREE Wallflowers Fragrance Plugs when you use promo code 2FORYOU at checkout! Limit 10 per customer. If you prefer to shop in-store, take this coupon with you.